One of the things Heroes of the Storm is great at is giving us whole new skins and backstories for said skins. The game doesn’t give a fig if it makes any sense, and I am here for it. Caldeum Acropolis? Neo-Stormwind? Space-Lord Leoric going up against Star Princess Li-Ming? Sylvanas as a Sugar Plum Fairy? Yes, yes, yes, and yes. I think some of the best Heroes skins are ones where they simply don’t even try to make this work in the lore, and some of the best events are ones where (as an example) Tychus just shows up with a gigantic water gun and oils himself up for summer. Sure, it’s weird. But it’s fun, just like Orphea as a rebellious high school student is fun, just like Nexomania suddenly transforming the heroes into masked wrestlers is fun. So since we recently got Caldeum Acropolis, I keep thinking it would be cool if they did a weird mashup of their characters and the Castlevania franchise, with Kael as a whip-wielding hunter, Jaina as a vampire, and Arthas as Alucard. Or maybe do a medieval fantasy version of all the Overwatch heroes or even just Steampunk everybody. I think I would be absolutely down for a clockwork colossus version of Azmodan with huge smokestacks belching coal smoke and robotic legs, or Thrall in goggles using not the Doomhammer but instead a Doom Blunderbuss. But that’s just me, and I’m curious — what characters do you feel still haven’t gotten enough attention? What kind of strange setting would you most like to see them in? Raynor as Blackthorne? The Lost Vikings as cats? Imperius as a superhero? Rexxar as a children’s show host? 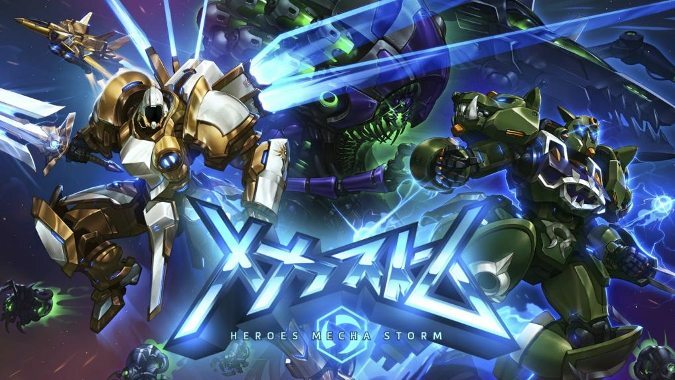 What would you do with a Heroes of the Storm genre mashup if you could?